One of the College’s sustainability goals is achieving Zero Waste by 2020. Macalester has adopted the definition prescribed by the International Zero Waste Alliance to reach this goal. 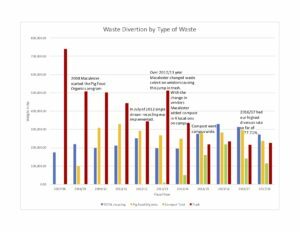 With their updated definition, Macalester will be considered Zero Waste when we regularly divert 90% of our total waste from a landfill or incinerator.